Two of our founding members are southerners and have complex feelings about that legacy. 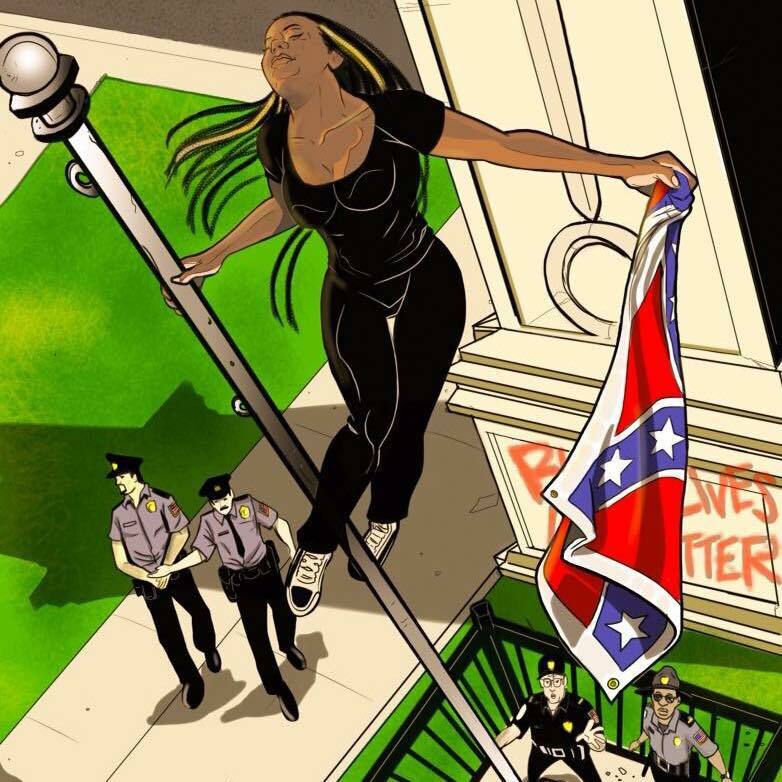 However, when activist Bree Newsome decided to take justice into her own hands, our own Quinn McGowan got inspired, finding his visions making the way to the internet site Upworthy. Artists can be political, too. We often say, "your success is my success." Don't forget that our freedom is yours as well.